Today commences the month of Decemberpalooza, my soul-crushing attempt to watch 31 Christmas movies in 31 days (plus a hannukah movie or two). 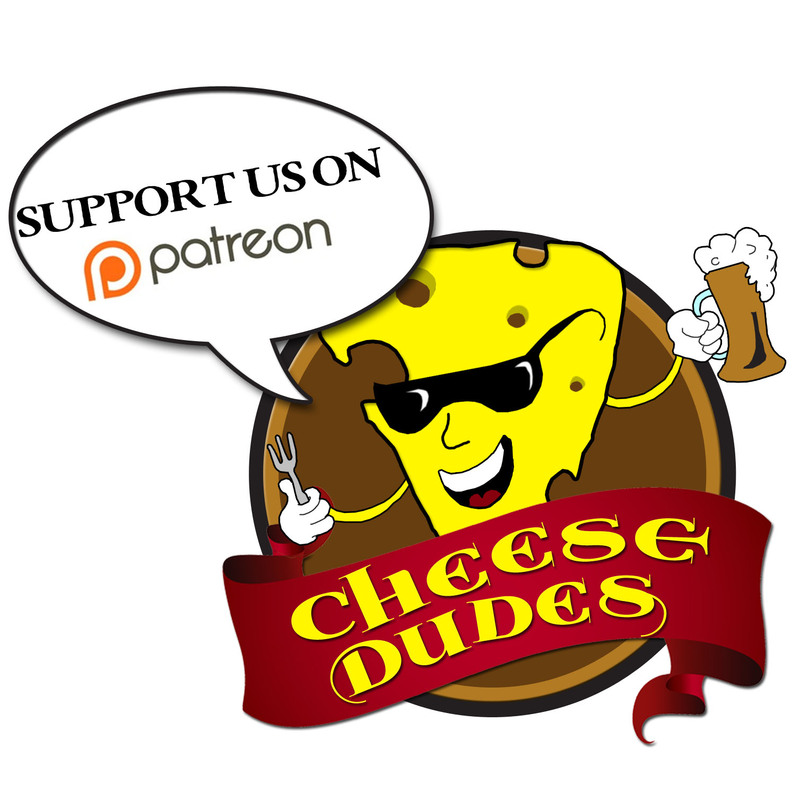 I will endeavor to stick to films I have not seen before, and to maintain weekly themes, so as to maintain parity with Jon’s excellent Horrortoberfest series. 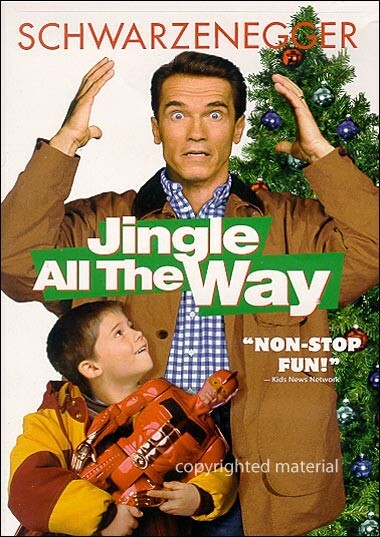 My first film this month is Jingle All The Way, the 1996 Arnold Schwarzenegger vehicle that also features Sinbad, Jake Lloyd, Rita Wilson, Phil Hartman, and a few weird one-scene cameos from folks like Jim Belushi and Martin Mull. Once these elements are in place, you can begin to set a story. Here we find that most 90s of story structures, a son who thinks his dad works too much, sort of a reaction to the Greed is Good 80s. Young Anakin Skywalker spends his time watching a Power Rangers analog called Turbo Man, and is consistently upset that his workaholic father misses karate presentations and so on (presumably, we don’t hear about anything else he misses). We also establish that Arnold is an exceptionally busy and quite successful fabric salesman. He misses a karate recital, heads home to an angry family, apologizes, figures out the son wants a Turboman Doll, and our film is off to the races. Rather than breaking down the rest of the plot elements scene by scene, I really want to talk about how Christmas Dad movies always work. They are always about dads struggling with the delicate balance of a crazy job and a family that gets angry when the dad misses things. He learns a valuable lesson by falling down a bunch of times while Christmas props fall on him, then in the end he promises to trade work for family, and the credits roll. The reason the credits roll is because we don’t want to see a month later when his new family devotion causes them to miss a car payment. Generally, the lesson segment of these films involves the dad rushing around to fulfill some holiday requirement. Putting up lights, finding a Santa Suit, in this case finding a specific toy. Bad stuff happens, and the father checks in, and is berated for a lack of Christmas spirit. In this film, we have a scene where a failed attempt at procuring a Turboman doll results in Arnold’s car being stripped to the frame for parts, which he then has towed home. He heads inside, and receives a standard scathing “Where were you! This family needs you!” speech. Why he doesn’t jerk a thumb outside at the wreckage of his car is a mystery, since that seems like a pretty good answer to any question. This structure, of the main character not giving an honest answer, is essential in schlocky filmmaking, because it lets the aggrieved side characters yell righteously, without making them seem like assholes. Instead it just makes Arnold look stupid. Best just mumble something about cookies, instead of saying “My car was stripped! I walked home! I’m freezing and one of my toes is black!” I just find myself wondering where my sympathies are supposed to lie. Sinbad… I feel like he wasn’t supposed to be in this movie. He plays a mailman dad looking for a Turboman figure as well. This puts him on an even footing with Arnold. He’s slightly more ruthless, but he has a demanding son at home (we never see this son), who wants a Turboman, and so Sinbad is roaming the streets with bomb threats and shoulder tackles. It’s odd, since we are clearly not meant to sympathize with him til his final scene, but I find myself wondering about his son. If we met that character, would we spend as much time rooting for Arnold? Clearly any son Sinbad has is going to be more appealing than goddamn Jake Lloyd. Jim Belushi plays, and I’m gonna try to keep these elements together, a mall santa/knockoff toy sales baron/santa gang leader. He brings Arnold to a warehouse where a bunch of Santas are assembling toys to sell to desperate parents on Christmas Eve. Of course, it is Christmas Eve, and it looks like there is only one customer in their giant warehouse of criminal Santas. It also seems odd that they are making toys, but not desperately sought-after Turboman ones. Instead they are making giant panda teddies and big rubber balls, exactly the sort of stuff that desperate parents can’t find on short notice. There is a fight with a Santa Ninja (can ninjas not find better work that they need to get in on evil Santa toy-pusher rackets?) and a scene where Arnold talks his way past some cops with a fake badge from a big vat of fake badges (again, fake badges don’t strike me as a hot commodity). Overall, this film isn’t so bad. It’s got a superhero suit, a bunch of nonsense scenes that don’t really pay off or come back later, and some laughably bad 11th hour special effects. But Phil Hartman, playing a smarmy single-dad lothario, is worth the price of admission. I’d give this film a C+, with the caveat that I don’t really have a great basis for comparison yet. As a final note, I’d like to highlight an odd line. Hartman, in a scene where he has triumphantly wormed his way into Rita Wilson’s (playing Arnold’s wife) good graces, faces Arnold down with the line “You can’t benchpress your way out of this one!” This is odd. Arnold’s character in this movie is an overworked fabric salesman. He never works out, doesn’t really do much physical beyond a brief Santa battle, and is discernably not named Arnold Schwarzenegger. And yet that line is clearly delivered to Arnold Schwarzenegger. I wonder if it just tested well to have Hartman say that than any sort of in-character line. Just odd.